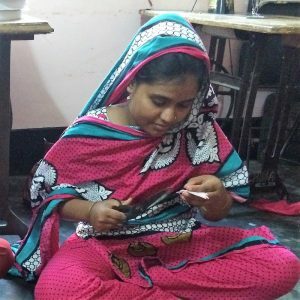 With a growing audience that values one of a kind handcrafted items, these highly skilled artisans of Bangladesh below create a beautifully diverse range of unique, handmade goods. All producers earn a good, Fair Trade wage, work in safe environments, enjoy a strong relationship with Motif and help build a hope-filled future for their families. If you’d like to know more about anyone you meet here, please be in touch. This skilled trio are the strong core of our own Motif Production Team. Their years of experience contribute lots of insight and wisdom when creating new products. Camaraderie is strong as each one has their own story of struggle and thankfulness for being at Motif. Many others sew in our workshop too – all from similar backgrounds, all very glad to be working on your order. Shani, earns well for her family. “Being mentored by my uncle was a great blessing!” says Rubel. “I started with a small set up making recycled paper bags and learned a lot!” His uncle was pleased and encouraged Rubel to start what he really wanted, The Prapti Foundation … a way to ensure his mother, sisters and other women in his village would earn a good income and know success (prapti) through their sewing skills. 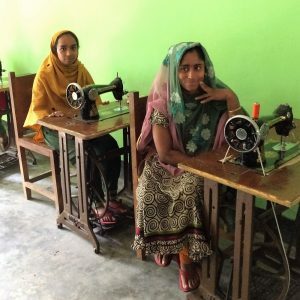 And so the ancient tradition of ‘kantha’, recycling old saris into treasured family blankets, now helps build their families too! 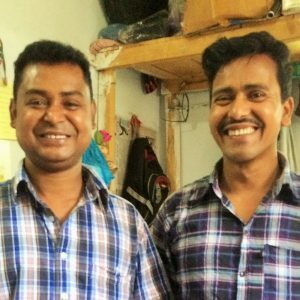 Near to a Dhaka slum, a young couple inherited property and since they already had a home, decided to create employment for their neighbours. A thriving sewing unit emerged, delighting children near and far with top quality toys and games. 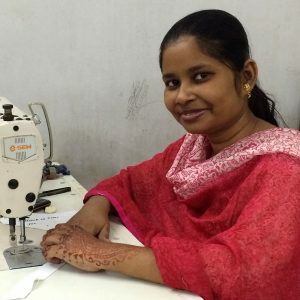 Surjomukhi means Sunflower in Bengali and just as those bold, beautiful flowers open up, the lives of these hardy women and their children are blooming too. 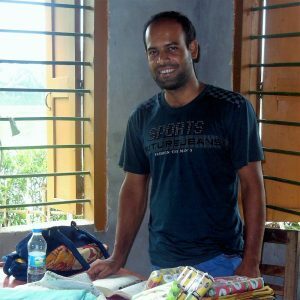 At a young age Founder Mohammad Ali, experienced first hand the crippling effects of Rural – Urban Migration on his community in NW Bangladesh. As hardworking men left to find jobs in the cities, families were weakened. 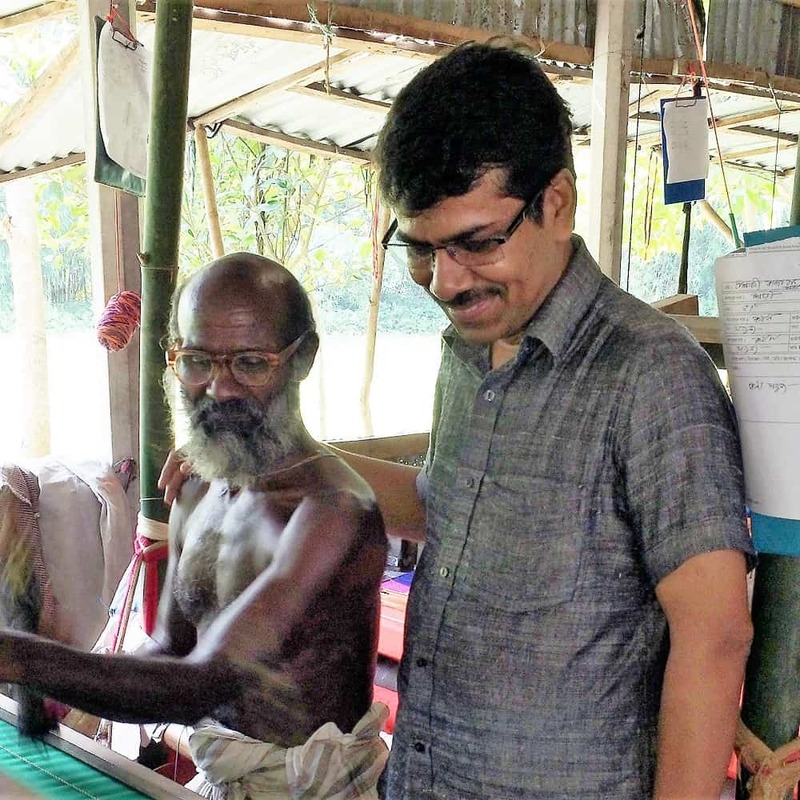 For generations the skilled hand weavers of this region had created beautiful cloth and so, with his early experience in mind, Hand Touch was born. Now local weavers enjoy raising their families well at home whilst their amazing textiles are appreciated near and far. Md. Ali, with a skilled hand weaver. Since Motif began in 1998, these men have developed leather goods of exceptional quality. Their businesses employ bright youths from their local community who otherwise would likely fall into crime. Motif’s custom made leather goods are carefully hand embossed and beautifully finished by these skilled workers. 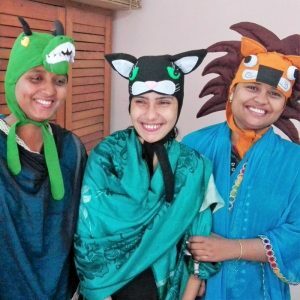 Shilpi and Laiju, 2 spirited, hardworking young women, with tough stories themselves, understood that together they could support other women in similar scenarios. “With God’s help!” they say, and their surefire tenacity, they now organise detailed hand work for about 100 women in their own homes and are keen to grow that network exponentially! Jobeda able to work at home. Young, under-age girls are regularly rescued from a brothel in Faridpur, Bangladesh. Those who can’t be reunited with family stay in a government shelter. They live a hard present with a hopeless future, both factors in the high rates of attempted suicide. 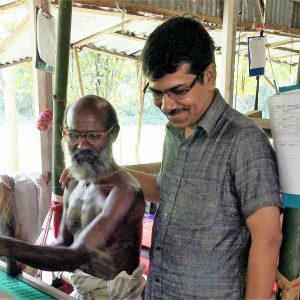 Motif now partners with Shapla Mohila Sangstha (SMS), a local agency, to produce a range of exclusive, handmade scarves and home accessories. As the girls earn from orders for this range, SMS ensures they have better education and a more hope filled future than they ever thought possible. Happy to work with respect.